Last week I introduced idea of the Zero Sum skills (nutshell version: having all skills paired up, with a set total sum.) Sadly, I didn’t really get a chance to analyze them, and discuss when to use them. Tangent Artists is going to (Re)Generation Who this weekend, the brand new Doctor Who convention not far from Baltimore, Md. Come check it out! First, let us take a look at the existing Fate Skills and Approaches. Pyramid Spread: one 3, two 2, two 1, one 0. Pyramid Spread: one 4, two 3, three 2, four 1, eight 0. And thus, we see, how the Fate Zero Sum stacks up. Pyramid Spread: one 4, two 3, two 2, two 1, one 0. Comparison to Fate Accelerated: As you can see, Fate Zero has a wider range of skills to choose from, but a higher percentage of skills at +1. Fate Zero caps at 4 instead of 3, meaning that there’s a greater difference between your top skill and the average mook’s skill rating. Comparison to Fate Core: Zero Sum has a much skinnier pyramid- as such, you feel less like a “jack of all trades” and more of an expert in a specific field; characters still skilled, but less versatile. This also means that there is more variation in your dice rolls- you have as many skills as +3 as you have at +1, making +2 a mathematical average, but not the actual number you’ll be consistently adding. Pyramid Spread: one 3, one 2, one 1, one 0. Prototype Skill names: Too Many! a. two 4, three 3, six 2, three 1, two 0.
b. two 4, four 3, four 2, four 1, two 0.
c. three 4, four 3, five 2, four 1, three 0. In the effort of pushing something to the breaking point (or past it), let’s see what happens with a zero sum with 16 skills, only this time each Skill Pair is set at 5, with a skill cap of 5! Prototype Skill names: Too Many! Aaaaaargh! Pyramid Spread: One five, three 4, four 3, four 2, three 1, one 0. This might seem a bit power-mad at first glance; compared to Fate Core default characters, you have 4x the number of 4+ skills. However, it’s not far from Atomic Robo, which can result in characters with two or three skills at 5+, and four or five skills at 4+. This might be ideal if you plan on using a Fate Ladder with a base of 10 or 12. Also, things get more interesting if you add the possibility of negative numbers into the mix. Let’s see that last one, but with the sum of every pair still equaling 4. Pyramid Spread: One five, three 4, three 3, two 2, three 1, three 0, one -1. Total Skill points: 32 (33-1). WHY USE SKILL PAIRS / ZERO SUM SKILLS? Fast character creation: Because two skills are linked together, picking one automatically picks the value of the other. This means you could have players pick 16 skills in the time it takes to pick 8. If you want to use a very lose skill pyramid (ex. Can only have one skill at 4), this makes the skill process even faster, as players don’t have to constantly consult a chart- they can just go to town adding points where they want. I’m tempted to try this at a convention some time, and let players build their characters. Likewise, it lets you create a NPCs with the same strength as the players in no time, in case you need to pull a new character out of your hat. Separate but Equal Philosophies: Even if you are not using the Zero-Sum angle, I would recommend building your skills in pairs- that way, you are guaranteed that all characters have as equal chance of being effective in a scene, even if they have completely different philosophy; not every conflict should be won by the most aggressive PCs. In Fate Core, Fight and Shoot are perfect opposites- one involves directly getting into the fray, the other deals with indirect combat. In a social conflict, Provoke can be used to deal mental stress, however it doesn’t have a non-aggressive opposite; personally, I would alter Rapport into “Evoke”, and add the ability to add mental “stress.” If evoke/rapport is used to take an opponent out of a conflict, it represents the target being convinced to agree with you, while any consequences might represent any feelings they have for you that might linger into later scenes. A World Divided: If your campaign focuses on two opposing worlds, you could have each pair have one skill attached to each “side.” For example, a Star Wars campaign with each pair having a Light side and a Dark side; a setting in Revolutionary France, with each skill having a “common” skill and a “noble” skill. I had originally planned to cover the Impossible to beat threats and how to scheme against them, but looks like we ran out of room. Next week: To Scheme the Impossible Scheme! For this week’s entry, I was going to just go through my toy box and make a bestiary entry based on that one monster. However, I realized that my toy box includes a massive amount of plastic skeletons that I have not had the pleasure of using yet. They’re vaguely Egyptian themed and sand-colored, and that reminded me of Frank Turfler Jr.’s Stuff for Storytellers and Game Masters Patreon, Patreon, which just released an Egyptian tomb tile set. (I bought into it myself to get a set, and wasn’t disappointed!) Thus, this week, we give you a mummy-tastic supernatural comedy one-shot adventure! Rules: This setting uses our own mod of Fate Core, named Skeleton Crew. However, I’ve included side-by-side swaps for using Fate Core. Likewise, it shouldn’t be too hard to convert to FAE or your personal hack. Characters: This adventure does not include Player Characters- it’s assumed that you can make your own, or just drop this adventure into your current campaign. We recommend at least one character that is good in a combat (fight, shoot) and/or physical tasks (athletics, physique). We also recommend at least one character that is good at gathering clues (translators and archaeologists are ideal). If your group does not contain one of the above, it might be a good idea to add an NPC bodyguard or a professor that they can control. If you need some, there are plenty of pre-made characters in the Skeleton Crew RPG rulebook, and there’s still time to sign up for the free open Beta test (just send us a note.) Simple NPC enemies are provided, but feel free to alter them as you see fit. Humor: This is a comedic adventure, although it might not show it at first. Humor typically works in one of two different forms: Short Form and Long Form. Short form has the humorous premise established pretty earlier, and revisits it constantly. (Example: like telling a string of light-bulb jokes.) Long form jokes build to the comedy slowly, so the joke is not obvious until near the end. An impatient audience may lose interested before the payoff, but sometimes the anticipation sweetens the final, comical reveal (Ex. the knock knock – banana joke. http://jokes.cc.com/funny-food-jokes/panmgr/knock–knock—-banana) This adventure is a Long Form joke – we advise all GMs to read the adventure before starting, so they have an idea of what the payoff is- however, do not give too many hints, as you don’t want them to get the full nature of the adventure until at least halfway through. WARNING: SPOILERS BELOW! PCS READ NO FURTHER! FLUFF: A team of archaeologists in Cairo were investigating a newly discovered catacomb. On the midnight of March 1, the skeletons and mummies they were studying sprang to life and attacked, driving the archaeologists off. No one has been able to enter it since, although those brave enough to get within earshot swear that they hear the din of combat. Are they training for combat, to take on the mortal world? Your mission: investigate the threat and secure the tomb. Maybe people in ancient times didn’t have any arms. Look at the Venus De Milo. What’s Really Going On: GMs, go ahead at the “What’s Really Going On” down at the bottom of the document. It will put the rest of this mystery in context. As you approach the main entrance hall, the murmur of battle becomes a roar. In the entrance hall, there stand over a dozen skeletal warriors, fighting viciously amongst themselves. They seemed to be divided into two factions: half are bedecked in red and turquoise, half in black and green. Conflict- The skeletons are too busy in their scuffle to talk, and will drag anyone close enough into the fray. Have the players recommend situation aspects for the chamber, and then start the conflict. There are two or four mobs of Skeletons, each with 3 skeletons in it. Skeletons are puppets of dried bone, controlled by a necromantic magic from the outside. Autonomous Parts—It is possible for a skeleton’s body part to keep moving, even after it has been severed from the rest of the body. Conflict Special Rules: The two sides are fighting each other, but don’t openly have them roll to attack each other. Instead, at the end of any exchange after all players and NPCS have taken their turn, roll one fate die for each side: on a -, that side has one of the mobs reduced by 1 skeleton / stress, as the other skeletons take out one of their number. If you roll a +, ADD on stress / skeleton to that mob, as a previously stunned fighter rejoins the fray. Remember, the skeleton mobs also have the aspect “Infighting,” which can be invoked or compelled against a mob, to demonstrate the other side getting in the way. Once the scuffle is over, the majority of the remaining skeletons don’t get up, having been returned to death or unconscious. Physical Clues – They appear to be some form of militias, wielding cheap weapons like clubs and chains. The fighters have some cheap ornaments of bronze and clay, implying lower class. Interrogation: If interrogating, see scene 2 for ideas about what they reveal. Interrogating any defeated fighters (assuming they speak Egyptian, have a high tech translator device, or are very good with reading body language). Info A. Historical investigation – info about why everyone’s there, and what’s at stack. Depending on how well or poorly they decipher the reading, give them the Bad, Okay, or Good translation. BAD TRANSLATIONS – Surface war fighters stork two. Victor eyeball control group cup of no death and army big-number [lost word] big-number. GOOD TRANSLATION – There are two champion fighters shall face off against each other. The victor shall possess the Chalice of Immortality, and control 500 legions [damaged word] 5000 years. Info B. There is a secret door on one of the three walls. At the gate’s entrance are two MASSIVE figures: they are stone Sphinxes that have been animated through potent magic. They stand watch over the gateway, only allowing those with the papyrus papers to go through. If the players are to go through, they will have to get past the Sphinxes. Shrug—May Use Physique to defend against any type of physical attack. Nerves of Steel – Sphinx are immune to any Intimidation (Provoke) attempts from monsters trying to scare them with their appearance. 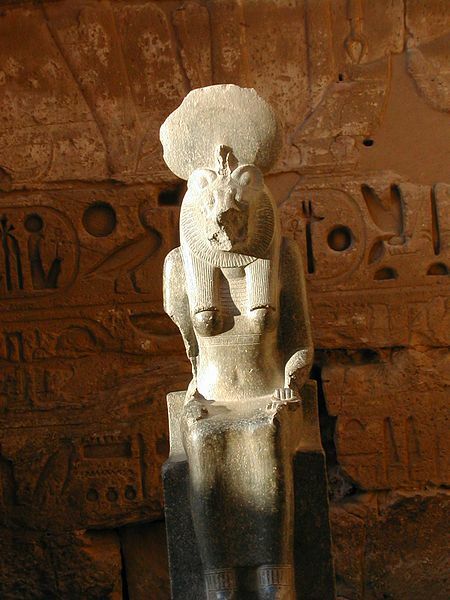 In order to scare the sphinxes, you’d need some type of leverage. Any groups that make it to the next area find themselves in a massive underground arena. Hundreds of skeletal forms sit in the stands, howling and cheering. In the middle stand half a dozen combatants, waiting patiently for the games to begin. An announcer proclaims (in something that you can hopefully translate,) that the contest is about to begin. The winner of the contest will receive the Chalice of Immortality. The announcer also calls into the crowd to ask if there are in the audience brave enough to join in. (Hopefully, the players will willingly jump in; if not, it’s a great time to compel some aspect, ex. Having an angry PC get taunted by a combatant into jumping in; having a clumsy player slip over the railing into the ring.) Once you have a PC involved, ask if any other PCs want to jump in too. The officiators divide the contestants into their own separate areas, and then hand them what they are competing with: BALLS & CUPS!! That’s right, the old children’s toy, involving getting the ball on the string to go into the cup. This contest is held like a Contest between the pc against the skeletal contestants. The first side to catch the ball three times (3 victories) wins! The NPC contestants will not initiate any dirty tactics, but if anyone attempts to sabotage them, they will respond in kind. Treat all skeleton contestants as one opposing force. If the players win, they move on to the next round! If they fail, they must either be removed from the field (but keep them close, if they want to crash the main event), or force them to give up something valuable to bribe the judges. Afterwards, the players learn that the contest they just joined was the semi-finals. The finals will now start, between your players and the champions: two massive mummies. The first is Isit-Senaktemyet, clad in red and turquoise; and second is Neferfret, clad in Green and Black. The referees also roll out the Chalice of Immortality (which looks suspiciously like the Stanley Cup). If the players are eliminated, it might be good to repeat the part how the holder of the cup will gain control of 500 hundred legions. For the final round, the ball-and-cup match has become full-contact! The champions wield giant ball-and-cup flails, with spiked metal balls. Technically, the rules are thrown out for this match, but the referees are a bit biased against the players, and can be compelled to get in the player’s way. If life equals magic, than mummies are corpses with their internal life force preserved inside them by mystical rites. While some occur naturally, the greatest mummies are princes and princesses interred by dozens of powerful sorcerers, in the hopes they will rise again. Touch of Death (Good +3 only)—If the Mummy deals 2 or more Stress on an Attack, the defender must take a Minor Consequence, if it is not taken already. Cup & Ball of Death – While the mummies are armed with the Cup and Ball of Death, they have Fight +5- if they can be disarmed, it’s lowered to Fight +3. Three stress boxes—a three shift hit is enough to take them out. EPILOGUE – SCENE 6. THE CHALICE! The last person standing receives the Chalice of Immortality-if several PCs still remain standing, have them decide amongst themselves who deserves it (by fighting or playing ball-and-cup if need be.) The winner is given the cup, with the entire stadium cheering. They will be a bit disappointed to learn that the gift of “immortality” is a figurative one- they will get their name engraved on the chalice and on the arena wall, and will thus “live forever” (except, not really.) Also, the 500 legions will follow the champion, should they still be around in 5000 years, when the skeletons next wake up. Even as that information is given to them, the skeletons of the area start falling back asleep, waiting until the next contest. As a consolation price, the winner does get five skeleton fans, who stay conscious through sheer will power. These five will follow the new champion around, doing odd favors around the house, and carrying their equipment on adventures. The PC gains an aspect or stunt to reflect their new minions. What’s really going on: The skeletons and mummies have resurrected for a sports competition. The sport: ball and cup (the toy where you catch the ball in the cup.) Ball and cup might not have been an actual Egyptian game, but it’s still plenty old, so who cares? In this adventure, it’s as big as the Super Bowl or the World Cup, complete with diehard fans and football hooligans in the front room. (If this seems ridiculous, Rome actually had riots in the streets due to the fans of rival charioteers.) Tease this to the players without revealing it. Join us next week- in honor of (Re)Generation Who convention, I’ll try a stab at something inspired by Doctor Who! 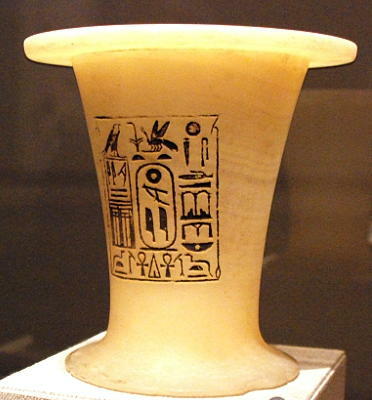 Offering_vessel_of_Pepi_I.jpg- by Hans Ollermann – from http://commons.wikimedia.org/wiki/File:Offering_vessel_of_Pepi_I.jpg – This file is licensed under the Creative Commons Attribution 2.0 Generic license. The licensor neither endorses me or its use. 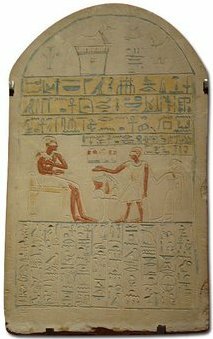 Haute_Egypte_Sculpture_au_crépuscule – by Kikuyu3 – http://commons.wikimedia.org/wiki/File:Haute_Egypte_Sculpture_au_cr%C3%A9puscule.jpg – This file is licensed under the Creative Commons Attribution-Share Alike 4.0 International license. The licensor neither endorses me or its use. After a month detailing Kickstarter set-ups, it’s time to get back to the fun stuff. This week: Chimera-mobs, a new format for Fate NPCS. Relying just on the above is fine with a few NPC teams, but after a while, it becomes redundant. Adding skills on to the above results in very complex NPCs with way too many skills at the same level (Jacks of all Trades), or tiered, mega-stunt enemies that are too much of a threat. A chimera-mob is essentially an NPC character or mob that is stronger than the average mob, but weaker than a full NPC villain. It enters the scene like a lion, but once you get past the first layer, it becomes increasingly easy to defeat. Knocked Out: Once a part is Knocked Out, it has all of it’s Skills reduced to a mere +1. If it has any stunts, it cannot use them. Once all parts are knocked out, the chimera-mob is taken out. Actions: By default, each chimera-mob can only take one Action each exchange. However, if a part has taken an action, a GM can pay a Fate Point to have a different part take an action this turn. We’re going to give you a second example. This time, let’s see it with a mob of different individuals forming a chimera-mob. This one will be split a little wider. 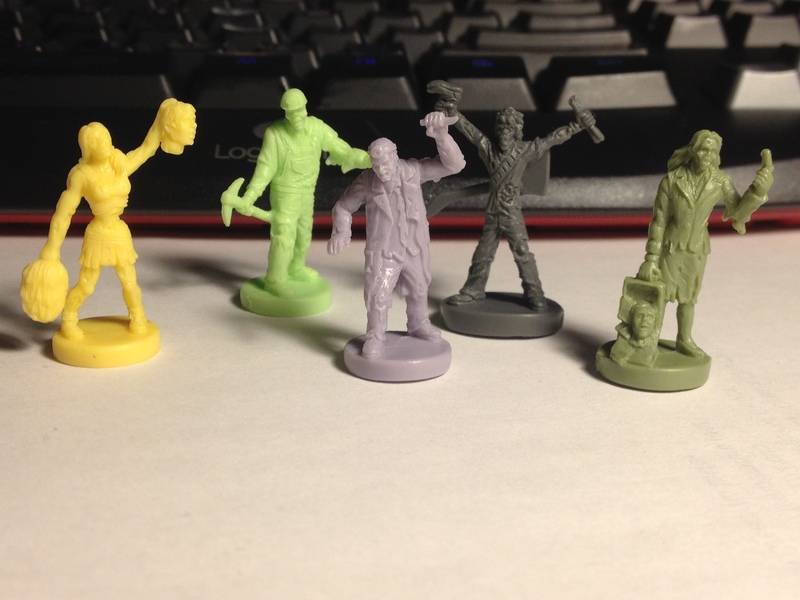 When the evil liche Sarcophoguy needs a small crack team of combatants for a task, he summons forth the Zomb Squad. These elite zombies have lost their personalities and memories in the haze of undeath, but parts of their inborn talent linger on, making them a versatile opponent. Figures courtesy of Twilight Creation’s awesome “Humans!! !” game. When do I use a Chimera-mob? As you can tell, it’s a chimera-mob can be as very simple, or amazingly complex (the Zomb Squat, for example, has five stunts!) However, they can provide a single threat that is a threat to most every teammate without feeling like a beefed-up supervillain. When throwing a Chimera-mob at a group, it works best to set the fight in a small area. In a narrow corridor, it’s easy to see how you can aim at Surgeon zombie, only to have the acrobatic Cheerleader-zombie leapfrog off of your head, making you miss your shot. In a much wider area filled with many zones, it’s a little harder to justify in the narrative how the Rocker can simultaneously be attacking a player on one side of a football field and defending for the Miner against a punch 100 yards down the field. As you might surmise, chimera-mobs also work well for GMs that run map-less campaigns. So, tell us what YOU think! Have some Chimeras of your own?